The Gulgula is a sweet dessert which is as delectable as its name. The fennel seeds used in the batter impart it a pleasant aroma and it is impossible to have just one. Soak and dissolve the jaggery in hot water. Combine flour, jaggery and little water together to make a fine paste. Add fennel seeds, sweet spice powder to it, mix well. Heat the oil in a pan and place a spoonful of the mixture in the hot oil. 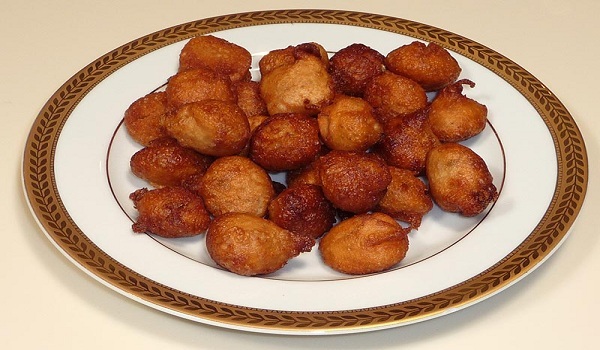 Deep fry the Gulgula on both sides.